Bottom Line: A rich, meaty dessert wine that will pair nicely with cheeses. Eiswein is a highly limited German wine made from grapes that are frozen; they are usually harvest after the first frost. This is often after Christmas and can even take place after the first of the year. An eiswein is quite lush and sweet with tremendous complexity and aging potential; fifty years is not out of the question. Because wines such as this can only be made in extreme years and because it is such a time-consuming and difficult wine to make (fermentation take many weeks to finish), it is a very expensive wine; it is not unusual to find an Eiswein priced at $100 or $150 per half-bottle. Eiswein can be produced from a variety of grapes, from Riesling to Chardonnay. 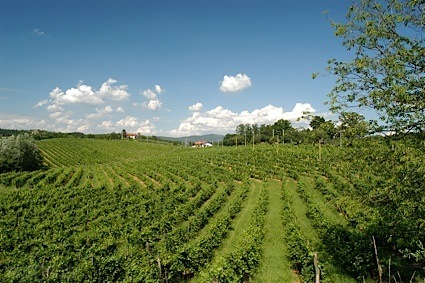 While Eiswein is most famously produced in Germany, it is also produced in Austria and the name can be used for similar wines in Canada. 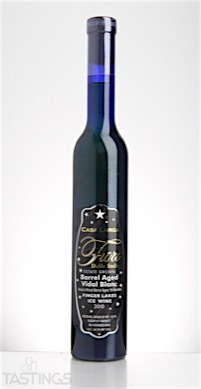 Casa Larga 2010 Fiori Barrel Aged Vidal Blanc, Finger Lakes rating was calculated by tastings.com to be 89 points out of 100 on 7/13/2016. Please note that MSRP may have changed since the date of our review.